Calling all gum lovers! Combine the sweet taste of banana with a slight acidic pineapple flavor. 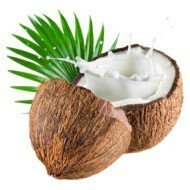 Add a splash of tart peach and the lingering tropical aftertaste of a ripe jackfruit and you have a recipe for success. If you’ve been in search of a taste similar to its bubble gum namesake, look no further. Juicy’s sweet and fruity flavor creates the mouth-watering everyday vape you’ve been looking for. Final Thoughts: Taste like Juicy Fruit gum. Pros: Tastes just like Juicy Fruit. I get mine in a 25/75 PG/VG mix for max vapor and a nice chest hit but smooth on the throat. It never disappoints! Final Thoughts: Yummy all day! Pros: Fruity loved the flavor! Cons: I kept getting vapors tounge and had to switch out flavors inbetween filling my tank. But wants it was fresh on my tougue again, great flavor!!! 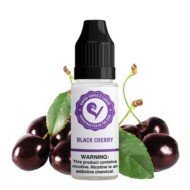 Final Thoughts: Great ejuice, just have a second flavor to switch out to so you dont get dull to the taste. Pros: Just like the gum, doesn't have that air freshener taste that other mixed fruit flavors do. Final Thoughts: I like it!! Pros: Great vape at 50/ 50. Haven't liked any flavor that I had purchased from local stores as much as I like this juice! Waiting on my second order now. The first one was great, but I did decide to go with extra extra flavor this time and a larger bottle. Oh yeah, GREAT PRICES! !!!! Final Thoughts: Already looking at other flavors. I believe anything Chris makes will be better than the local stuff. Thanks bunches! Final Thoughts: I'd order this again! Pros: Taste just like the gum and by far my favorite vape of all time. Vape every day all day and you will never get tired of it. Cons: None, I wait for this stuff to be shipped to NC, should tell ya something. Final Thoughts: Just freaking love it. Bunches of vape shops where I live but like I said I will wait a week for it to be made/shipped because they have nothing like it. Finally paid for the 100ml bottle. Pros: It's stellar. A hint of pineapple with a lush overlay of fruit. 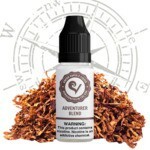 Spectacular flavor overall, an all day vape. Final Thoughts: Top tier flavor. Pros: Juicy Fruit is my daughters favorite go to juice--I enjoy it as well. The flavor is sweet but not overbearing. I wouldn't add extra sweetener, the mix is perfect as is. Final Thoughts: Such a great variety and all the juices are made with the highest quality ingredients. Cons: ALMOST like the brand-name, "Juicy Fruit". Pros: Wife loves this, it is great as always. Pros: Taste great ! Taste just like the gum and smells amazing ! Just what I expected it to be. Pros: I just got some Juicy Fruit it is "great". The shipping is very fast .i will order again. Pros: Actually taste like juicy fruit, this company's products i highly recommend. Sweet and smooth flavor in each hit. Pros: Good flavor, does taste slightly like the gum. Pros: Good Flavor and it does remind me of the gum. Cons: Flavor for me could have been a tad stronger...would maybe try a little extra flavor next time to capture the super sweet gum flavor a bit more. Then again I vape at pg/vg 25/75 6mg. Pros: Like most comments say it really does taste like the gum. Pros: Really tastes like the gum. Very good flavor and would order again in the future. Pros: This is my new favorite, since my last 50mL bottle of it. So it's not that new, but it has changed from Lychee to Juicy Fruit! Then again, I think they're equal. 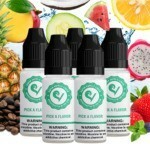 I love this flavor, because you never know what the dominant fruit will be until you take a puff! Lately, it's been banana. Strange! But, it tastes like the gum, Juicy Fruit, if I didn't swallow every piece I put in my mouth! I highly recommend this ejuice if you like fruity juices! Final Thoughts: This is my favorite flavor from Vapor Vapes, at the moment. Thank you, Chris! 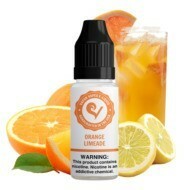 Keep up your ejuice mixing brilliance! Cons: I suggest you use a wick less cartridge such as the ego ce5 tank to get FULL flavor! Definitely better! Cons: After vaping it for a while gets old and made me sick. It started having a dreadful aftet taste. Pros: Awesome! Great flavor! These products are always shipped on time and arrive on time!! I will never order from anywhere except vapor vapes! Pros: The best tasting juice I've tasted so far! 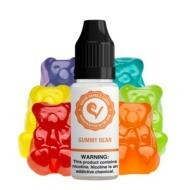 It was my first time ordering online for juice but since I've been having no luck at regular vape and smoke shops, I started to shop online and found Vaper Vapes! Super fast shipping and outstanding product! 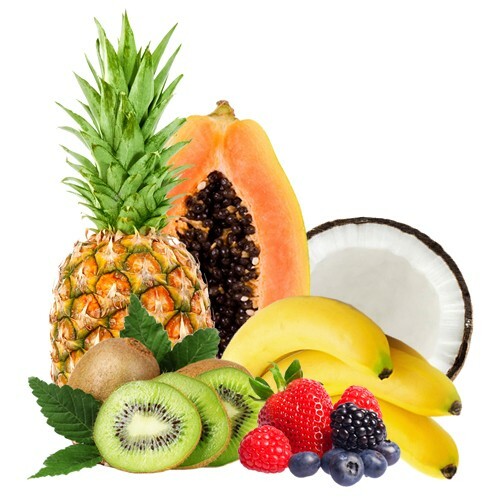 Juicy Fruit is delicious and eager to try other flavors on my next order! Thanks Vapor Vapes! Final Thoughts: Ordered my juice late night and received my juice in just one day! Vapor Vapes is "top notch" in book! Pros: By far one of my favorites! Nice fruity flavor, I would recommend this! Pros: Enjoyed the flavor very much. Shipping is very fast, and I have decided to buy a starter kit. Very happy with my purchase. Pros: Tasted great, the vg was a good blend ratio to the pg, and it was nicotine free. Pros: Great juicy flavor. Recommend ! This Is An Awesome Juice! !